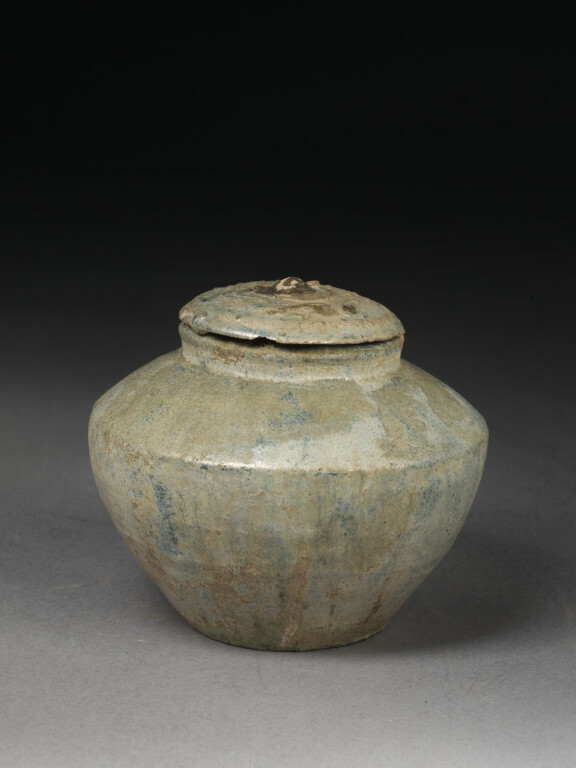 Jar and lid of light red earthenware, covered with a green lead glaze. Depressed globular form, with angular shoulder and small mouth. 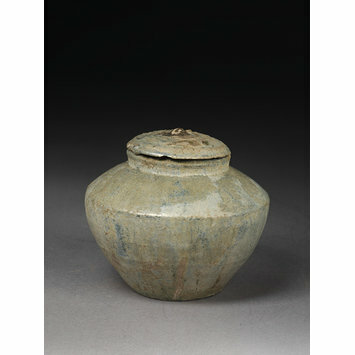 The lid is moulded in low relief with dots and 'S'-shaped scrolls. The glaze is highly iridescent with decay.